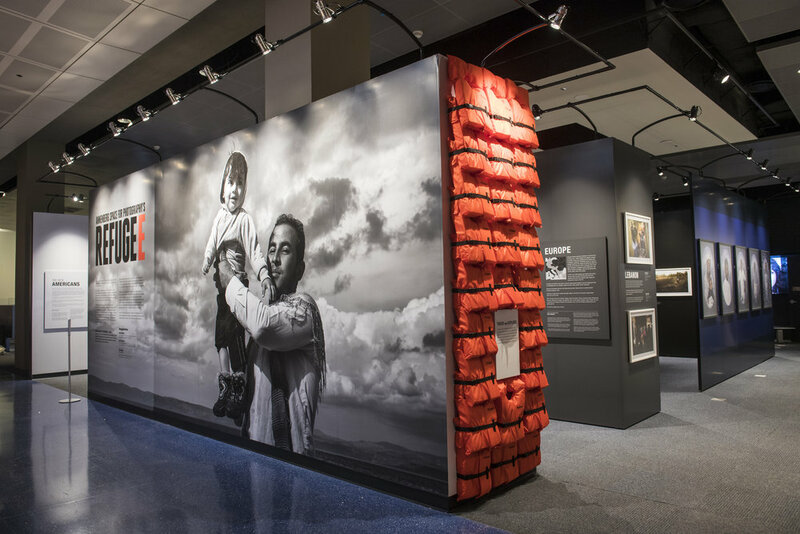 The REFUGEE exhibit features five internationally acclaimed photographers covering the stories of displaced people. 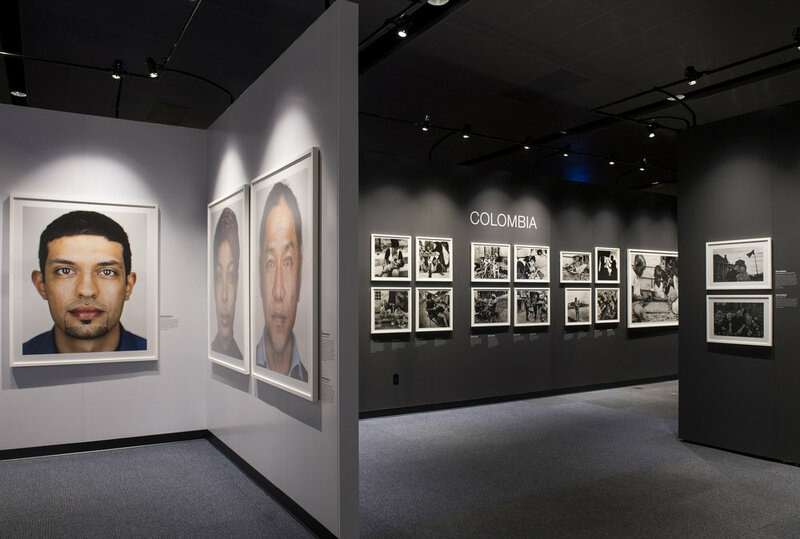 The Annenberg exhibit was spatially redesigned to fit all the photographic content in about half of the square footage. Additionally all graphics were reconfigured to meet ADA requirements through scale, color contrast and appropriate height placement. Additionally, an Ai WeiWei inspired tactile wall of life jackets were added as part of an on going effort to increase interactive visitor engagement.